From the time of the Ming Dynasty, visitors to the city now called Beijing have feasted on roasted Peking duck. There is even a Chinese proverb, I am told, that a visit to Beijing is not complete until you have dined on duck and visited the Great Wall. Though the Great Wall is certainly one of the wonders of ages, the duck I enjoyed recently was one of the culinary marvels of modern times. 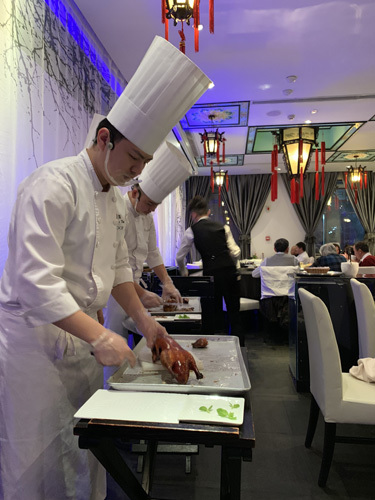 While there are a couple of quite famous Beijing duck restaurants, my local guide recommended DaDong Roast Duck, which readers of a Beijing magazine have voted “Best Chinese restaurant of the year” several times since 2011. 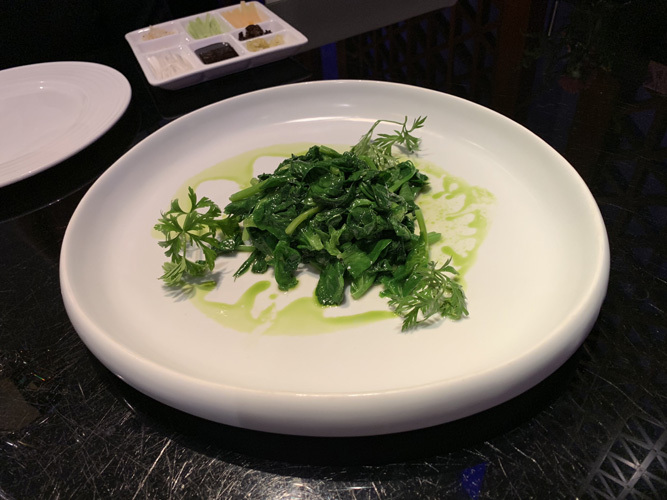 Chef Dong Zhenxiang has emerged over the past two decades as one of the most influential chefs in China, and there are now nine outposts of his restaurant in Beijing. We got our reservation in a large, attractively decorated DaDong that four years after the fact was still boasting of having hosted Michelle Obama. After we were seated in DaDong, we were handed a book the size of a dozen bound issues of the old Life Magazine. 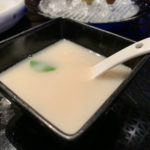 A work of art in itself, this turned out to be the pictorial menu offering tempting photos of duck dishes along with a variety of seafood, veggies, and soups. 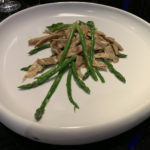 From this menu, we chose a roast suckling duck over the somewhat larger roast duck, and opted for two vegetable dishes, the sautéed bamboo peel and asparagus with black truffle sprouts and the sautéed mung bean sprouts. A relatively short time later, one of the dozen chefs on duty appeared at our table displaying our duck. He then proceeded to carve it with a skill of a surgeon. 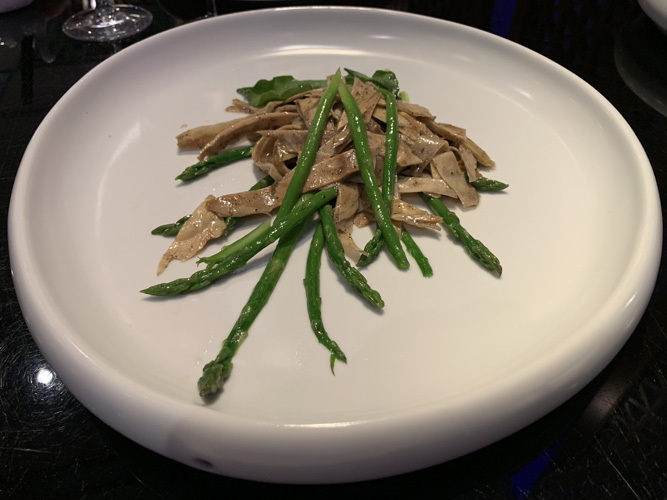 After deboning the duck, he sliced the crispy skin and meat – crispier and far less fatty than most ducks we’ve had in the U.S. – extremely thin, and then reassembled it on a serving platter before placing it on our table. The duck was served with an array of condiments. 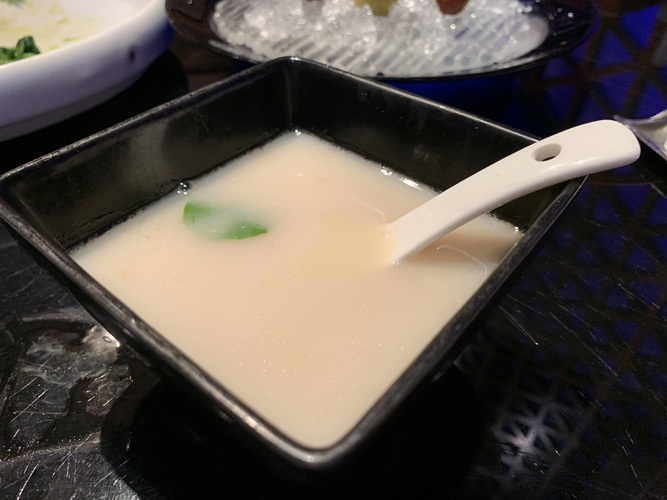 While the skin and meat could be eaten the traditional way, wrapped in very thin delicate pancakes with plum sauce and julienned scallions, DaDong also offered the option of stuffing it into a crispy sesame puff bun with garlic paste and cucumber. 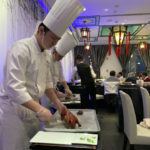 I’ve had Peking duck in New York, San Francisco and London – among other places – and simply put, this was the best Peking duck dinner ever. 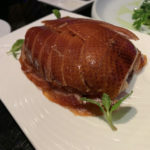 It made such an impression on me that we returned to DaDong 10 days later and tried the larger roast duck. If anything, it was even better! 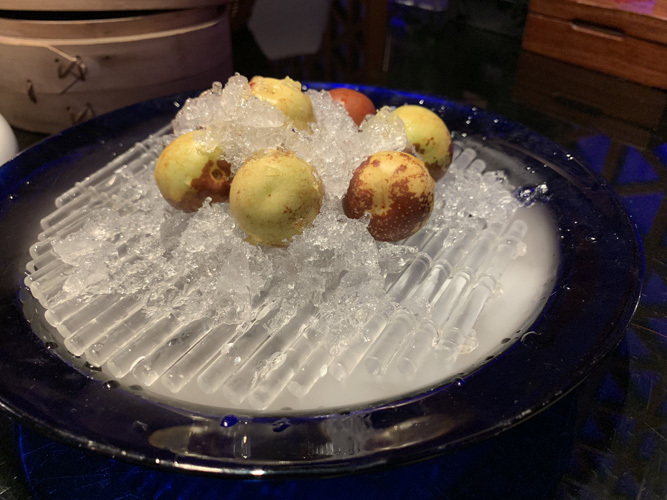 For dessert, we were presented with a plate of fresh lychee nuts enveloped in steam rising from dry ice. 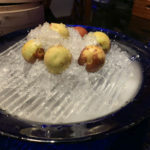 An interesting presentation, and some very juicy, sweet lychees. 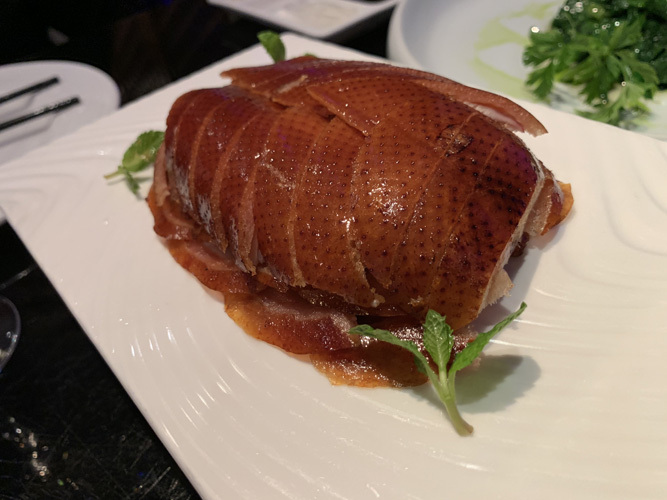 The price for this feast was quite reasonable, the duck itself running only about half the $98 being charged at DaDong’s first venture outside China – a new (and not very well received) restaurant in New York. Maybe DaDong’s ducks are too lean for America, but I think for the time being I will pass up visiting the New York outpost. 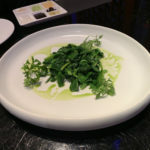 I would not want it to detract from memories of the spectacular feast I enjoyed in Beijing.